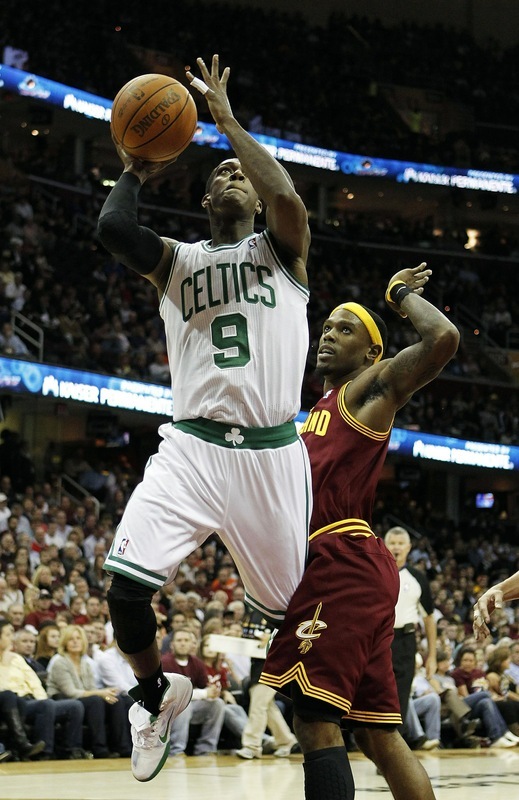 There's no real explanation, but Rajon Rondo prefers to wear the Hyperfuse barely laced and with the tongue flapped down. There's not a rule against it or anything -- like the way in which the league came down on his headband "style." 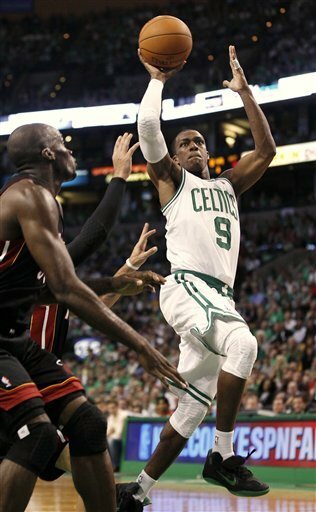 Rajon Rondo is free to wear his shoes however he wants until Nike tells him otherwise. Which is, weirdly and not how most anyone else would choose to wear them. He's been getting all baseball cleat flappy on us, choosing to lace through his Hyperfuses two eyelets too low and flaring the tongue out. Definitely a "unique" look, if that's what he's going for. He's been one of the more random and peculiar players over the years, as Rondo has often been spotted switching between shoes that aren't remotely similar. He wore both the Cradle Rock and Foamposite Lite last season, two entirely opposite models, and from time to time he'll tie his shoes as loosely as possible. This is also the same guy who shows up to a playoff game in the passenger seat of a speeding Red Bull race car, and the same guy who didn't like the shade of vivid blue on his Cradle Rock PEs for last year's NBA All-Star Game in Dallas. So he went to House Of Hoops himself to pick out something that would match better, and landed on the Hypermax. Slow news day? Maybe. Or, I just thought it was weird.